Imprint Method: 4 Color Process - Is it time to recognize an outstanding member of your company? 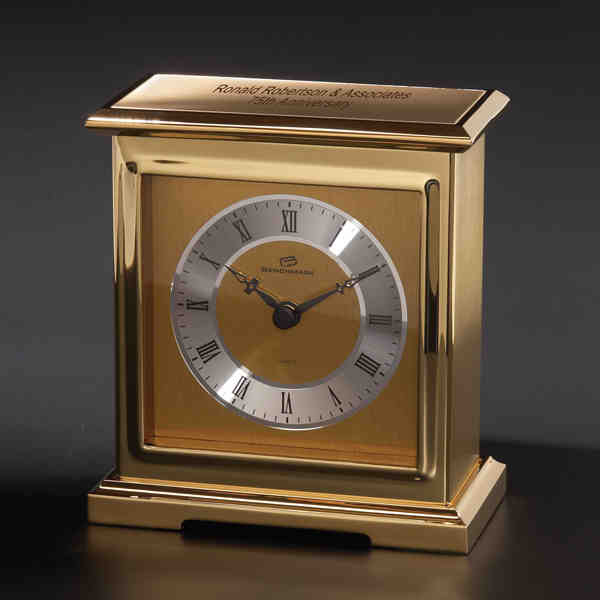 The Interlude is a clock with a glass front panel; metal dial; and quartz movement. Elegant Roman numerals complete its display. A handsome decoration for any setting; it makes an excellent gift or award. May be purchased blank or customized with your company name and logo. Size: 5.25 " x 4.75 " x 2.5 "